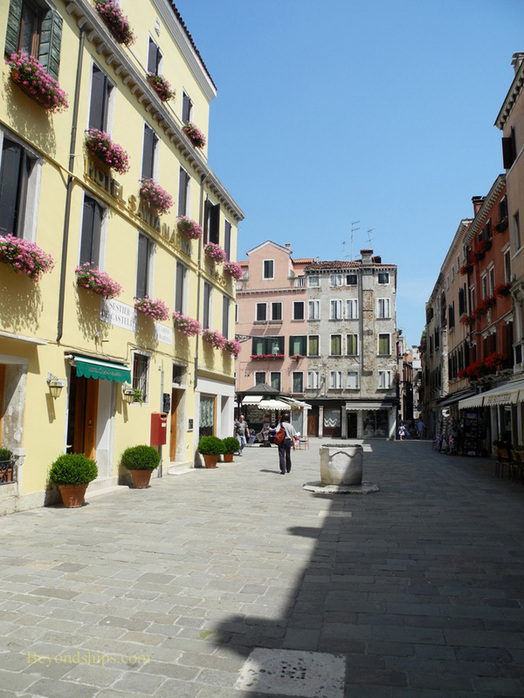 Venice has some 3,000 streets and contrary to Robert Benchley's quip, they are not full of water. Some are narrow passages, others are more open. They wander through squares with hidden architectural gems, past shops and cafes, and over the city's 400 bridges. 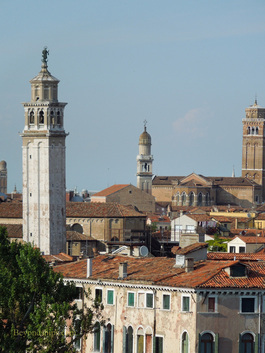 Walking along them you see the hidden Venice as well as some of the great landmarks. It is not far as the crow flies from the cruise terminal to St. Mark's Square. However, the streets in between are something of a maze but one that is worth exploring with a map or a good guide. This slideshow shows some of the sights that one can encounter on such a journey.